I remember having a job once where I literally would think on my drive into the office “If I got in a car accident right now, I wouldn’t have to go to work.” Not exactly the positive thoughts one needs to help motivate them for the work day. Maybe you haven’t had these thoughts exactly, but I’m going to surmise that most of us have been in a role that we weren’t thrilled about at some point in our lives. Can I Blame My Youth for Career Ignorance? What went wrong here? How did I end up in a job where I’d rather chance a wrecked car and personal injury than another 8 hours at my desk? At the time, I really had no notion of career fit; I didn’t understand the importance of the alignment between my values and that of the organization, nor of how much it mattered that I work in a role where I was able to put my strengths and talents to good use on a regular basis. If it’s any kind of excuse, I was young, relatively fresh out of school, and didn’t know how to capture the dream career I was chasing. It took me several career crashes before my epiphany arrived: I could have a career that didn’t conjure up absurd reasons NOT to go to work. That epiphany felt pretty good. I was in my early-to-mid twenties when all of this went down. 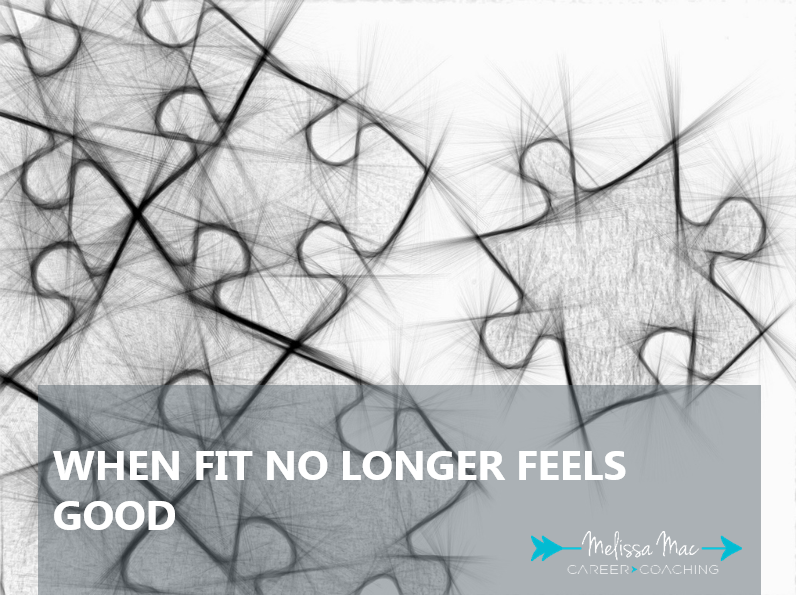 What about when we are farther along on our career path, perhaps in our forties, perhaps in a role type that we’ve held for over a decade, and the fit no longer feels good? We can’t blame our situation on naivety and youth; we’ve been around the block already. Chances are more likely that one of two things have happened: 1. We are in a new life stage and our values, needs, and goals have shifted, or 2. Changes within an organization over the course of time have not had a positive impact. Just because a position starts off as a good fit doesn’t mean that it will continue to be one forever. The worst case scenario when our career fit no longer feels good is that we build up resentment in ourselves and can’t see a way out of our current situation, leading us towards a bitter future in a job we hate. No one likes working with that person, do they? It’s an isolated and angry path. The good news is that you have control to steer away from that path. When you begin to identify feelings of disconnect with your position or company, as yourself what, why, and how. What am I feeling, why am I feeling it, and how can I make it better? The first step in being able to answer these questions effectively is to know what your values, needs, and goals are. A conversation with your partner or friend can help you identify what is important to you. As your list grows, ask yourself why these are important to you. Once you feel you have a rounded out list, shift your view to your job and see if and where your values, needs, and goals are being met. What do you notice? Now you can go back and ask yourself the what, why, and how. Want to rediscover your career fit? 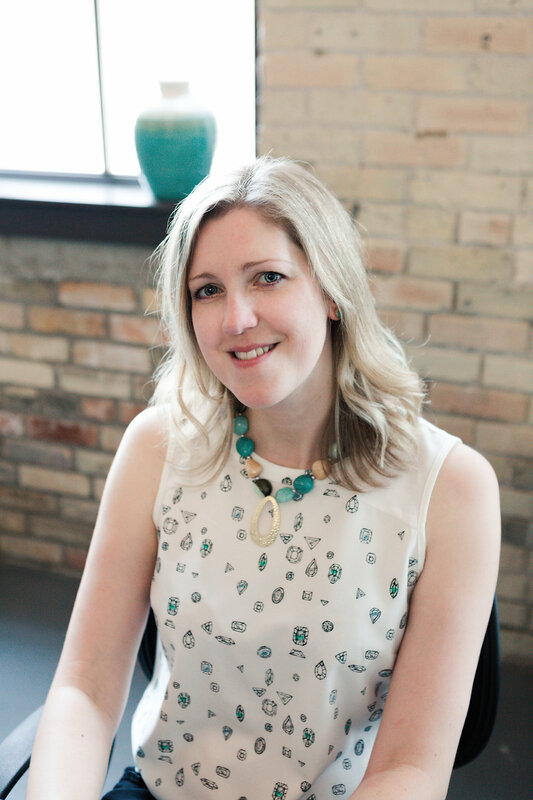 Contact Melissa Mac to explore how career coaching can help to get you back on track to a career you enjoy.